I have seen Cat’s Eye quite a few times as a kid. I think I would watch it every time I stumbled across it on cable around the time it came out. A cat very loosely ties together three stories. Two of the stories came from Stephen King’s Night Shift story collection, while the last story, King wrote for the movie. One story still holds up, the second one bores me after seeing it the first time, and the last one I still enjoy, but mostly for nostalgia reasons. The first story, “Quitters, Inc.”, is still my favorite one. It is one of my favorite stories in Night Shift as well. 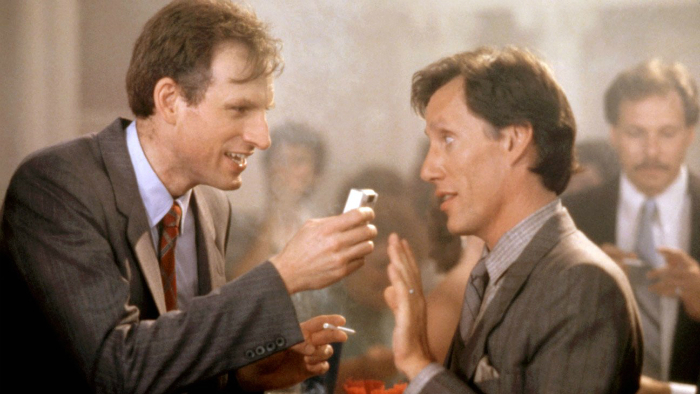 James Woods plays a guy that is trying to quit smoking. A friend of his recommends a company that has very unusual ways to convince people not to smoke. To tell any more would give all the good stuff away. It feels very much like a well-done Twilight Zone episode, though. After watching it again, after all this time, it is still effective. It probably helps to have decent actors. The second story, “The Ledge”, is pretty intense the first time you read it or watch it, but after you have seen it, it is really boring to rewatch it. I barely remember watching it, even though, I remember everything about the first and last story so I think that when I was a kid, I must have started reading or switching channels during this part while waiting for the last story. It is about a former tennis pro-turned-tennis instructor who starts an affair with a married woman. When her husband, who will bet on anything, finds out, he offers the tennis pro, played by Robert Hays, a deal. He can be framed for a huge amount of drugs that are already hidden in his vehicle or he can walk around the ledge of his penthouse and get to run off with this guy’s wife. The story has to give nightmares to those afraid of heights and I remember liking it the first time I watched it. After I knew what would happen though, all the tension is gone when I watch it again. The final story, “The General”, I loved as a kid and still enjoyed it now. The cat that was running around in the background, but not really integral to the other stories, becomes the star of the show in this last one. Drew Barrymore is the young girl that wants to take in the stray cat she finds outside. Her mean mom does not want to keep the cat. Her parents even tell her that the cat can’t sleep inside at night because cats will steal your breath! Little do the dumb parents know that a tiny troll lives in her wall and is sneaking out at night trying to steal her breath. Good thing there is a cat nearby to try to beat up the troll. Yes, this story is as silly as it sounds, but I still love it. I love that the cat is the hero when so many movies hate cats. The special effects with the troll were pretty impressive. I loved his little dagger. Also, record players and fans can be dangerous to flying objects. 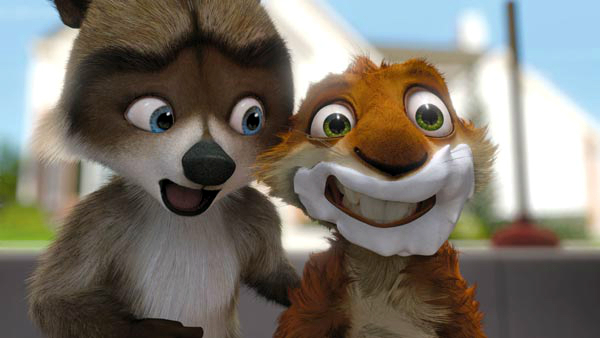 I loved this movie when I was young! I was thinking of earlier about when a certain troll was shrunk super tiny and how hilarious it was.